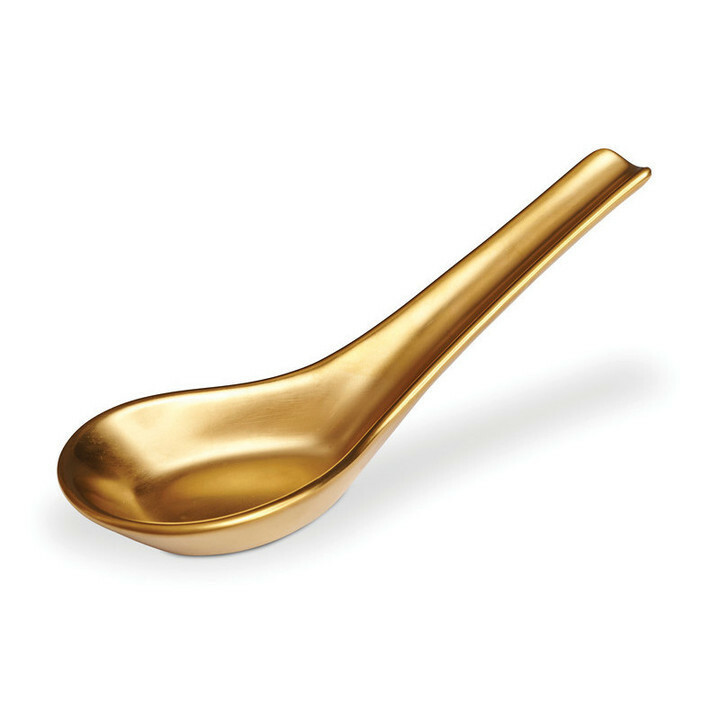 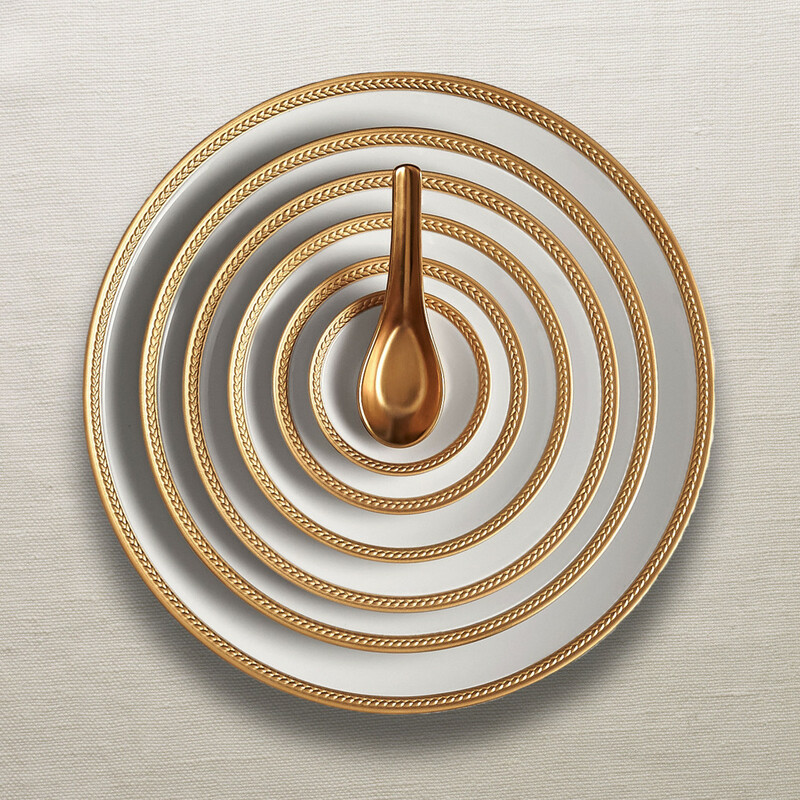 This image is from the Soie Tressee Gold Dinnerware collection. 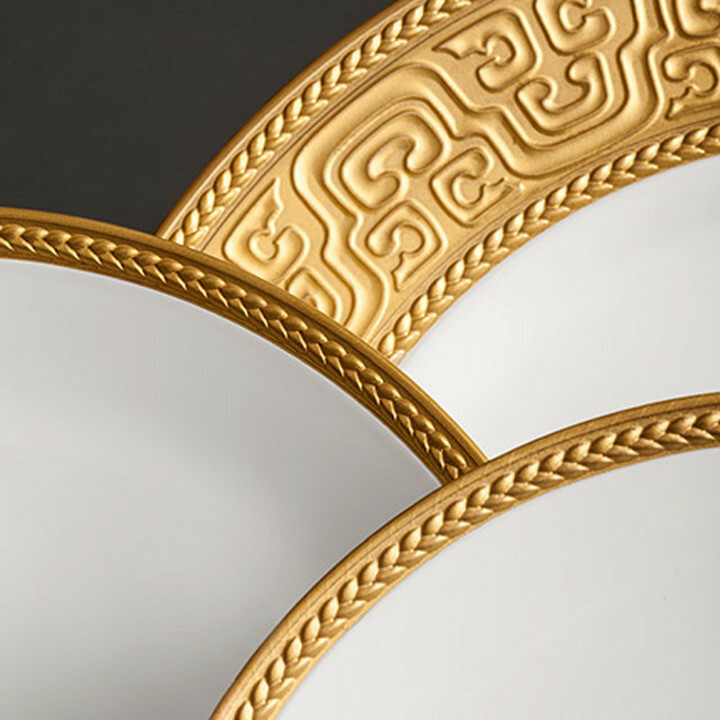 The braid made modern, Soie Tressée offers a distinct, contemporary take on an ancient shape. 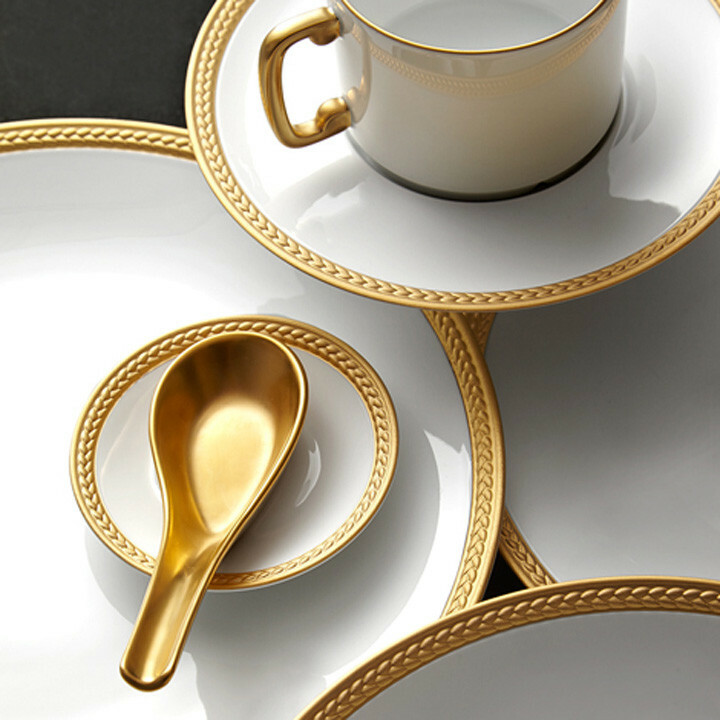 Limoges porcelain available in White, hand-gilded 24K Gold, or Platinum. 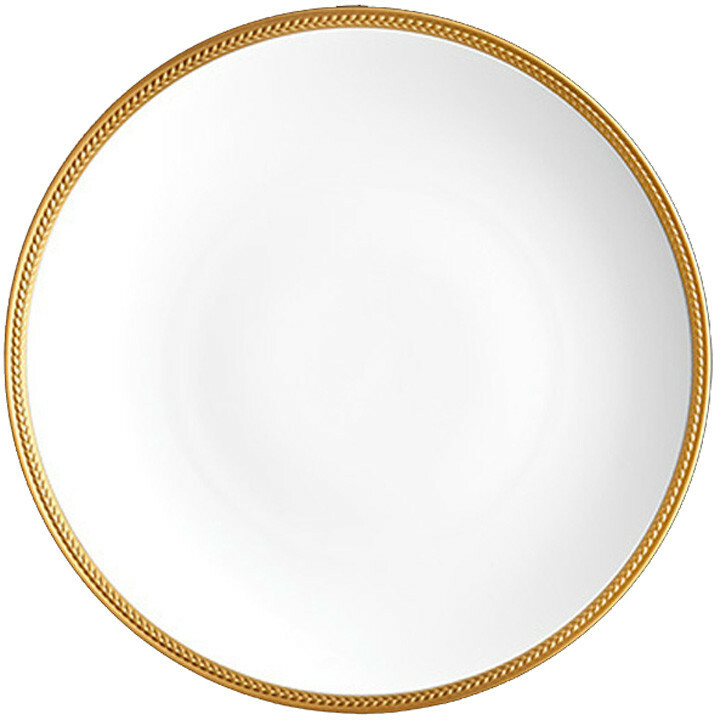 Limoges porcelain; 24 kt gold plating.